It might be time to upgrade your promotion earbuds. 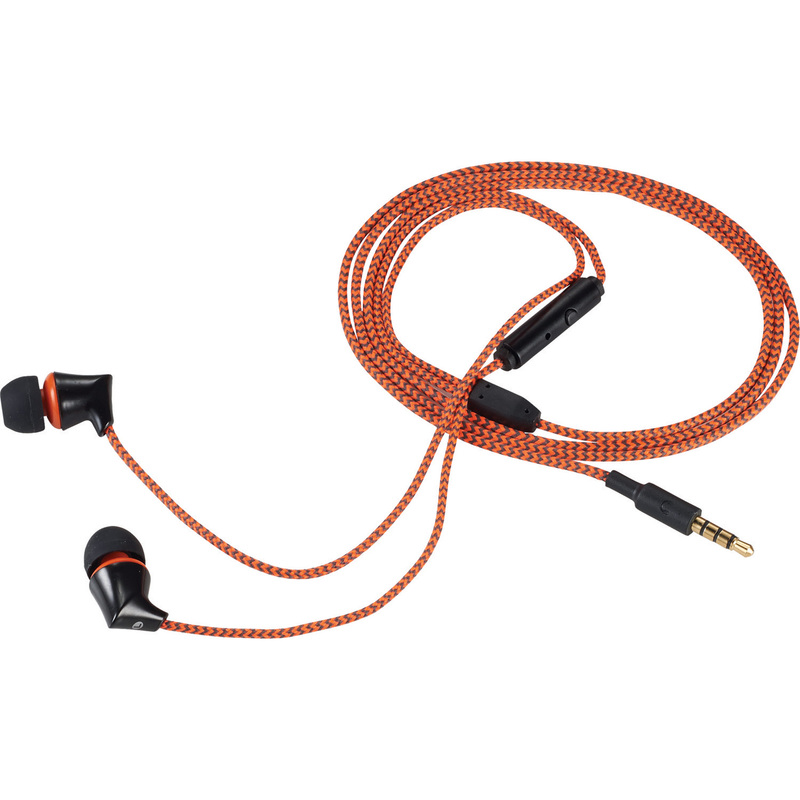 The new Mobile Odyssey Halo Braided Earbuds from Polyconcept are not your average promotional earbuds, with a thin little wire, and hard plastic ear pieces. The Mobile Odyssey Halo Braided Earbuds look, feel, and sound a lot more like an upper end retail set of earbuds, and they have a built in microphone for calls, as well. 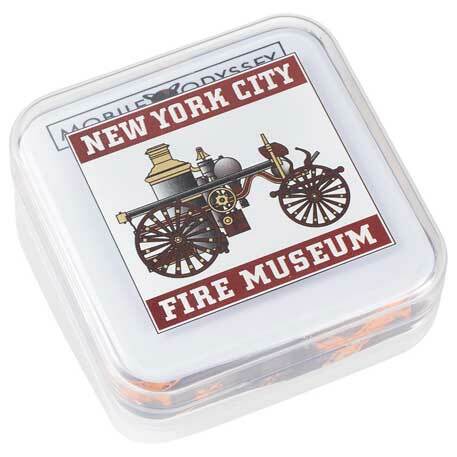 From the manufacturers website, “Mobile Odyssey provides cutting edge, high quality product for the user who is committed to remaining on trend in both fashion and technology. The imprint on the Mobile Odyssey Halo Braided Earbuds is on the case, and can be done with Polyconcept’s Photographixx imprint method, so that means full color branding is possibel, and looks amazing. Imprint is only on the case, however. 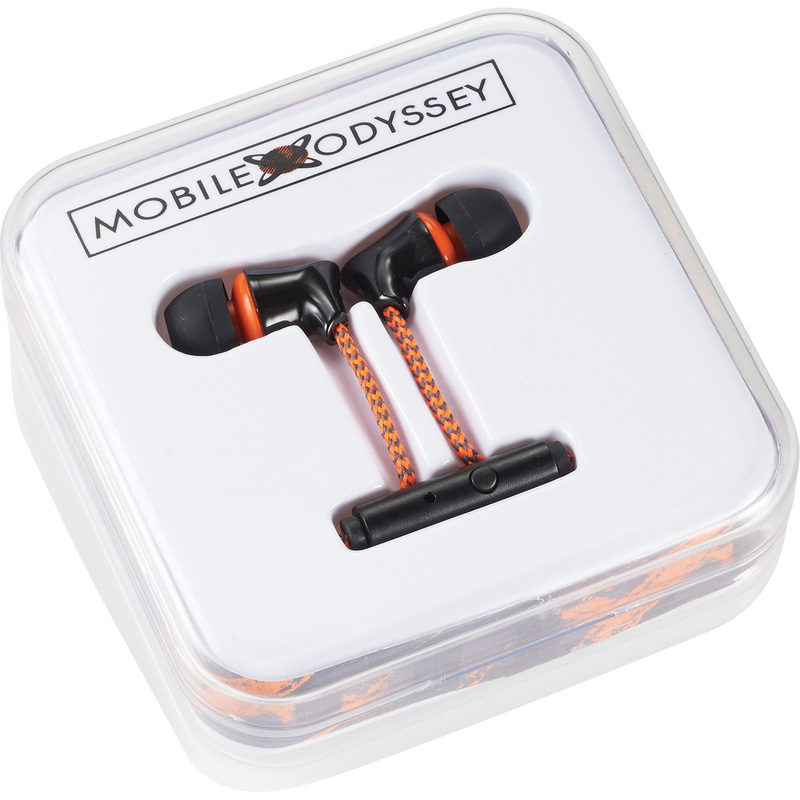 The Mobile Odyssey Halo Braided Earbuds even comes delivered in a premium gift box. Please contact us at info@proformagreen.com if you would like more information on – or samples of – Mobile Odyssey Halo Braided Earbuds. This entry was posted in headphone. Bookmark the permalink.